The creator of laser printing and the GUI has been mired in a badly inked $6.1 bln sale to Fujifilm and far from user-friendly board governance. Carl Icahn and Darwin Deason have put an end to both. Xerox is in decline, but there’s still room for a clean, intuitive exit. 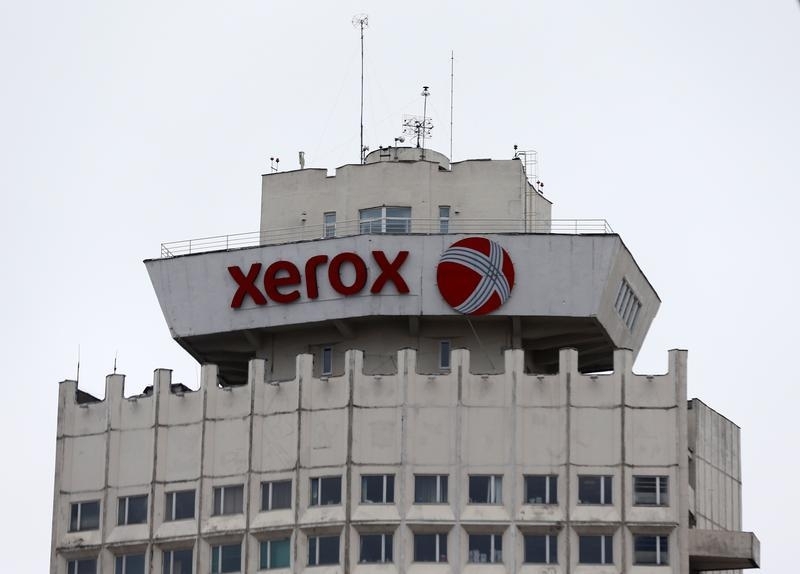 The logo of Xerox company is seen on a building in Minsk, Belarus, March 21, 2016. Xerox on May 13 said it had scrapped a planned $6.1 billion sale to Fujifilm in a settlement with Carl Icahn and Darwin Deason that also hands control of the U.S. photocopier company to new management. The move follows a similar deal with the two activist investors unveiled on May 1. That also involved a new chief executive and replacing most of the company’s board. But it expired days later after legal protections for departing board members could not be secured from a New York judge. The judge in late April sided with Icahn and Deason and temporarily blocked Xerox’s proposed deal with Fujifilm. He said Chief Executive Jeff Jacobson had been “hopelessly conflicted” because completing the deal would enable him to keep his job. The two companies agreed in January to a complex transaction that would have merged Xerox into their Asian joint venture, Fuji Xerox, and given Fujifilm control. That prompted Icahn and Deason, who between them own 15 percent of Xerox, to launch a proxy fight, arguing the transaction undervalued the U.S. firm. The Xerox board’s latest change of heart followed the failure of attempts to engage Fujifilm in timely discussions about improving the terms of the deal, the company said. It also said Fujifilm had missed a deadline to provide Fuji Xerox’s audited financial statements and that it had found “deviations” in those financials from unaudited versions provided earlier. Fujifilm said it disputed Xerox’s right to terminate the deal and would look at all options including legal action seeking damages.